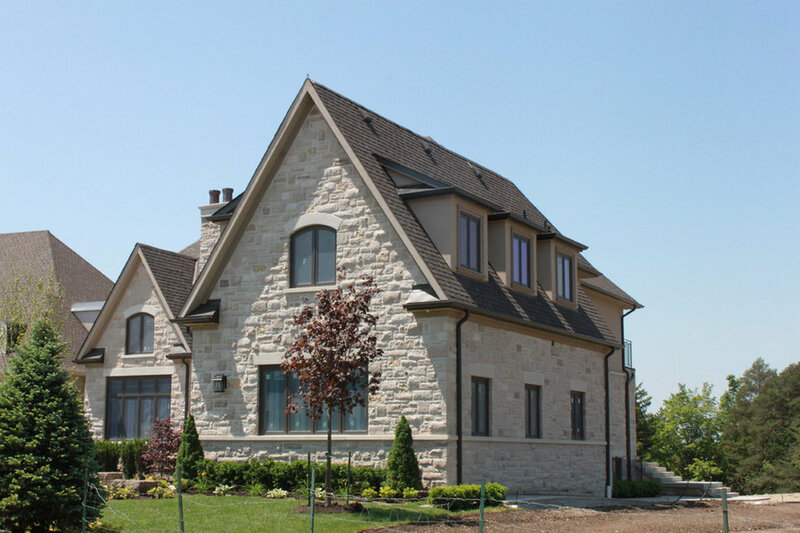 Front view of 4700 square foot contemporary-meets-classic custom home for a family of six just north of Toronto. 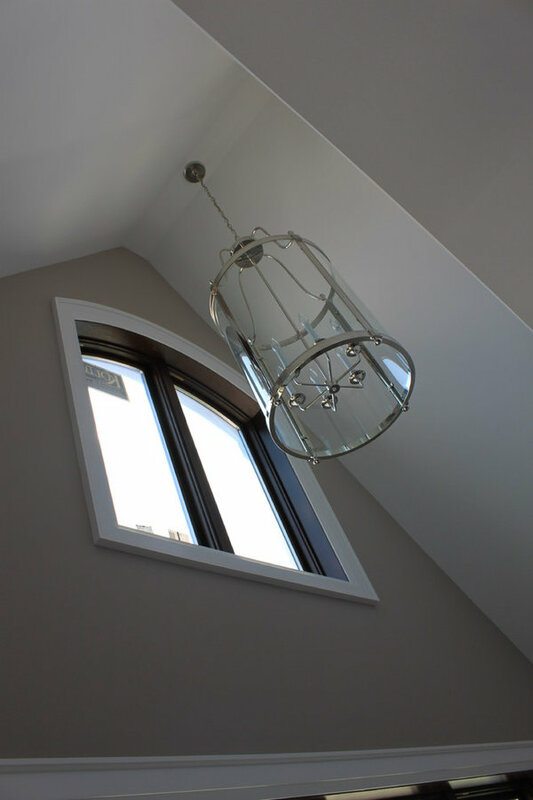 A mix of traditional and modern lines - large windows, large gable details and shed dormers. 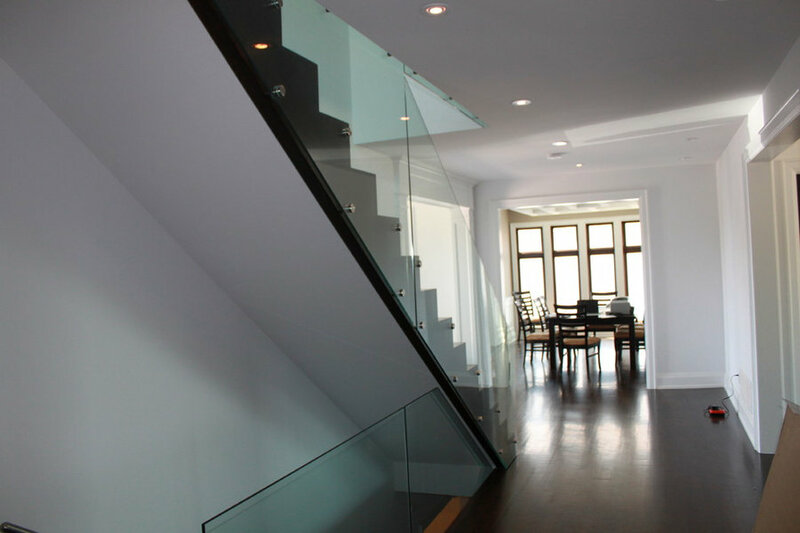 Geometra Design Ltd.
Main staircase with glass railing to maximize sight lines. Stairs were designed to be one of the main features of the living space on the main floor. Geometra Design Ltd. 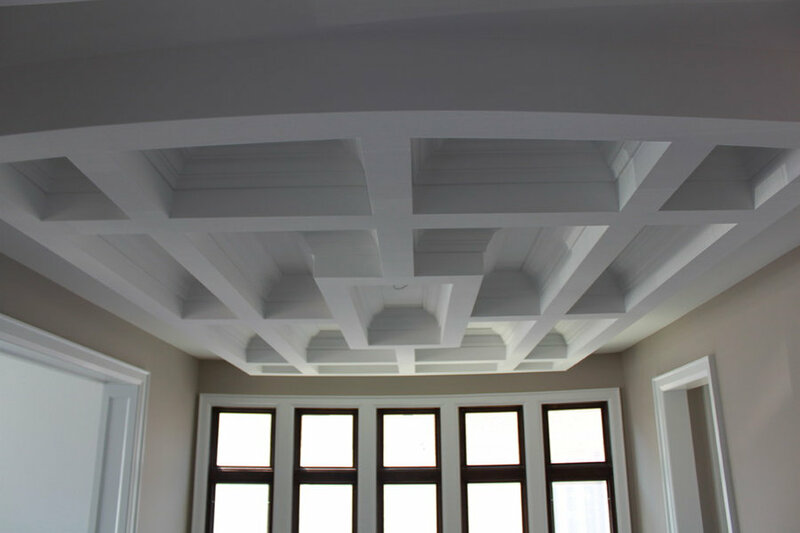 Dropped ceiling detail in main floor dining room. 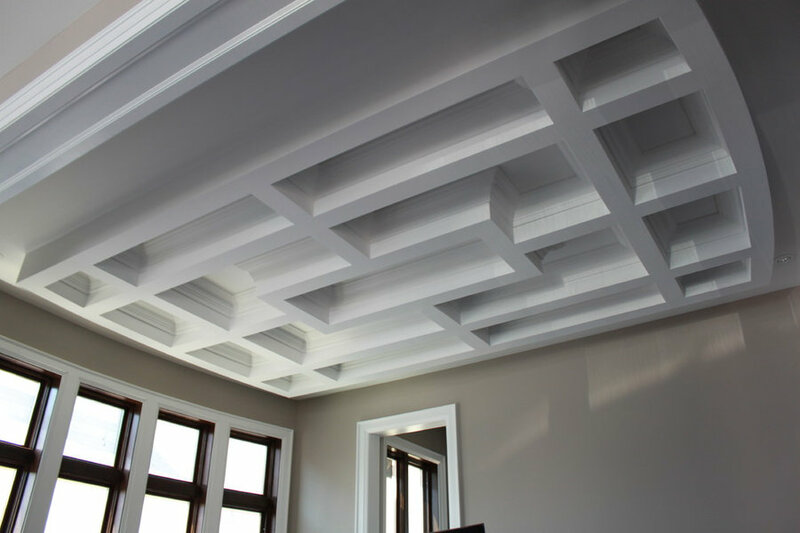 Geometra Design Ltd.
Cathedral ceiling in living room to maximize light and drama. Geometra Design Ltd.
Front view. Geometra Design Ltd.